As Rabbis we are privileged to be part of the most important events in families lives. We rejoice with you at baby naming's and circumcisions, we welcome your children on the first day of Hebrew School, we give counsel before weddings and cry together when loved ones pass on. We see much joy... and much pain. Yet much of the stress and financial pressure of dealing with a sudden death could be averted. 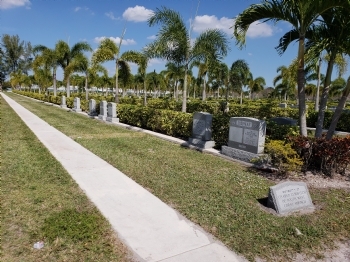 With proper planning your loved ones will not have to suffer the anxiety and difficult decisions that coming with arranging a funeral when one is struggling with a debilitating disease, or after a death has already occurred. The Chabad Jewish Center now has it's own section at Star of David Memorial Gardens. 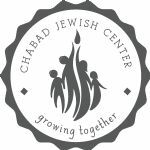 Besides being convenient, Chabad has had a long relationship with Star of David and its personnel. They understand and respect the standards of Jewish Law. You will have the peace of mind, knowing that everything will be done properly - without being pressured to buy extravagant and wasteful accouterments (i.e. 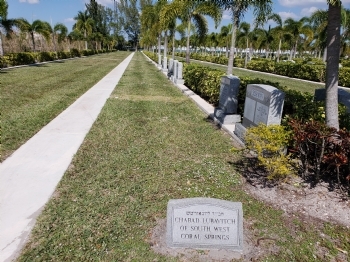 Brass coffins with velvet)..
(c) Access to every grave is from a paved walkway so no one needs to walk on grass, or over any other person's grave. With blessings to share in many Simchas for many years to come. Remember what our Sages say: Making arrangements for funeral services is a "segulah - lucky charm" for a Long life.